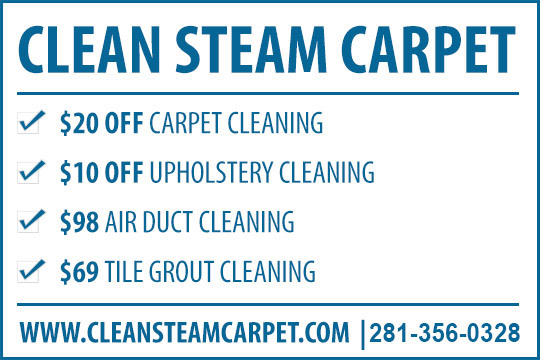 Clean Steamer Carpet provides air duct and vent cleaning services to the following metro areas: Alvin, Baytown, Bellaire, Channelview, Conroe, Crosby, Cypress, Dayton, Deer Park, Dickinson, Fresno, Friendswood, Highlands, Houston, Huffman, Humble, Katy, Kingwood, La Marque, La Porte, League City, Liberty, Manvel, Missouri City, New Caney, Pasadena, Pearland, Porter, Richmond, Rosharon, Santa Fe, Seabrook, South Houston, Splendora, Spring, Stafford, Sugar Land, The Woodlands, Tomball and Webster. An air duct cleaning procedure can be one of the most important things that anyone can use. It’s not something that people often think about but it’s a point that needs to be understood carefully. The HVAC system in the home can be used to support air that can heat or cool a home. This system will move this air through the ducts in your home. However, this air will be recycled. It can include a series of contaminants that are often stuck in your air ducts. This can even include pet dander, dust and other materials that can get around your home. 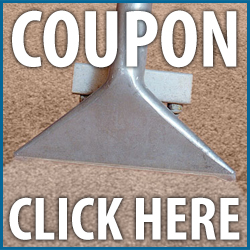 You should make sure that you get what you have cleaned as soon as possible. We at Clean Steam Carpet can help you out by starting with your HVAC unit and then moving around the individual ducts in your home. We will move through every duct in your home and make sure that all contaminants that are stuck in your ducts are cleared out as soon as possible. We can get rid of mildew, mold, fungus, pet dander and even the occasional small animal that could have crawled in and might have died. Everything will be treated and then sanitized to keep your area under control. We use a special cleaning agent that will remove bacteria and keep any growths from being a problem. The return air ducts are the large vents that contain the filters in the house; they pull the air back into the furnace. We open, brush and vacuum the returns, reaching 100% of the vent. 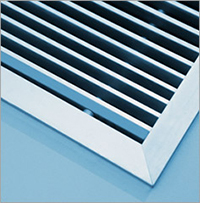 The return vents are the dirtiest part of the system, due to the fact that they draw back into the system along with the air all the dirt, dust and debris. If not cleaned, debris and dust accumulates in the system, ultimately getting circulated throughout the air in your home. The buildup of dust combined with the moisture that circulates inside the duct work creates the best habitat for mold to develop. Mold is a microbiological contaminator that uses the dust buildup as a surface to grow and spread through your system. When you breathe these mold spores everyday, it can cause illnesses in several ways, including upper respiratory and asthma-like symptoms. We apply a combination of chemical agents into the system that will totally eliminate all the microbiological contaminators, especially the mold. This also creates a protective layer that will prevent mold from continuing to grow inside the system.